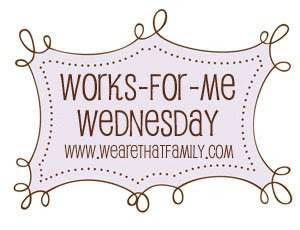 Works-For-Me Wednesday is all about organizing today. Um, organizing anything in my home is NOT my strength! Just ask my husband! But it just so happens that I forced myself to organize my recipes recently during my crazy Housecleaning Week! I thought I would share how I did it in case it works for you. 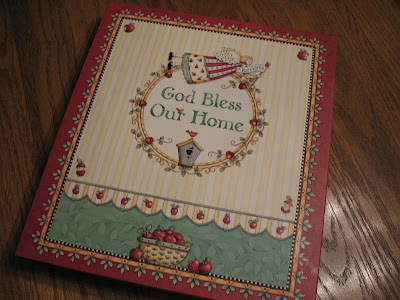 I had all my recipes (cards, torn magazine pages, printouts, cutouts from labels, etc.) jumbled together in a box. And I am the sort of person that MUST have the recipe in front of me no matter how many times I've made the dish! It always took several minutes to locate the recipe I was looking for. 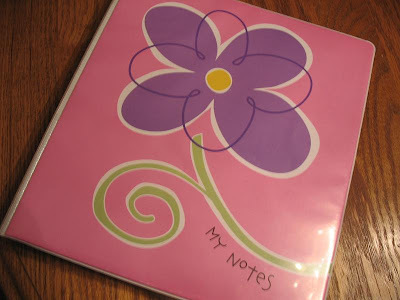 I wanted a simple way to organize that would not involve hours of typing or handwriting recipes. So, armed with many page protectors and some binders, I organized those recipes! I put all of them into page protectors, grouping similar things together and sharing pages whenever possible. I used tabs to organize the different sections. I originally hoped to use one binder, but it filled up! 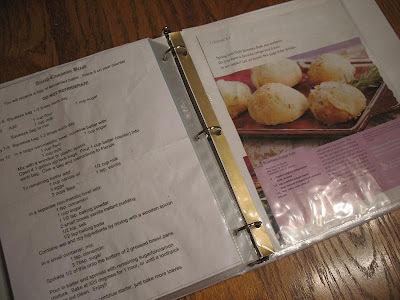 I came up with an idea for 3 binders - A,B, and C.
The "A" Binder contains All the recipes we usually use. The "B" Binder contains Beverages, breads, & breakfasts. The "C" Binder contains...say it with me now...CHOCOLATE! I'm able to find what I need so much faster and I can just pull the page right out of the binder. 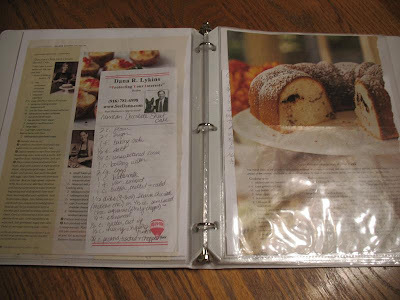 The recipe will survive because of the page protector (many of mine are looking pretty sad!)! It might not be the best method out there for organizing recipes, but it works for me! For more great organizing ideas, stop by We Are THAT Family and don't miss out on the great organizing giveaways! I love binders! Binders are our friends! LOL. I buy binders in bulk at Sam's! Ha! Ha! I think you did a fabulous job my friend. Big keeping the "C" Binder close by in case of emergencies size hugs to you. I'm always amazed at how organized other people are:-) I recently discovered binders and am on the road to organizing. Thanks for the great idea. Great idea. I've got a big folder full of recipes that I've torn out or printed out. I want to try them all, but I'll never find the one I want, when I need it! I started doing the same thing this summer, but didn't get very far...you have inspired me. Thanks! I really need to do this. I've been thinking about it for a long time, but haven't gotten around to it. I love your binder divisions. 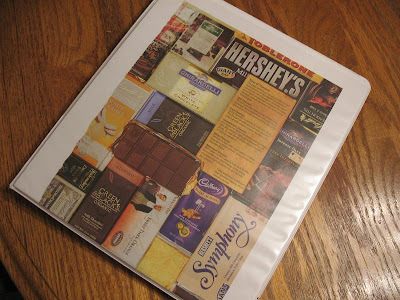 Who wouldn't love a whole binder for chocolate! Your binders look fabulous! I have a similar method but it's not pretty at all. I like your idea to break up the binders by category. I weed out recipes ruthlessly -- if it's not the best version of that dish I throw out the page. If it could be fantastic or deserves a second chance, I write notes and suggestions to myself on the page so I won't forget to alter it next try. I so need to do this. 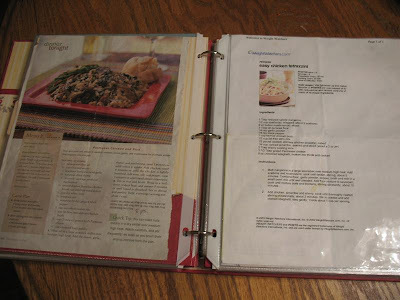 I have recipes that I print out and just stuff in a cookbook and then have to look through all of them when I need them. Do you ever cut up your cookbooks and organize your recipes this way? Also if you do, then do you throw away the cookbook with recipes left in it that you have never used? That looks like a great system! I knew you had organized your recipes but didn't realize how cutely you had done it. Mine are in one binder separated by tabs and now filled to overflowing and the spine is ripping. I like your cute way for next time!! SOON...?